For the first time, we may finally have an all-electric car that doesn’t require inordinate amounts of charging time to go long distances. It’s what we’ve been expecting ever since electric cars have been around, and while it seemed Tesla had the measure of the competition with its Supercharger stations, Porsche has just come out swinging with the new Taycan and what it has dubbed the electric pit stop. Instead of simply cranking up the voltage, Porsche wondered if it wouldn’t be better to instead redesign the conventional charging setup. Instead of creating an expensive all-in-one package, Porsche designed a modular system that split the charging components in parts. Customers only need to interact with one of these parts: a slender, black-and-white mast boasting a 10-inch touchscreen and the charging cable. Up to 300 feet away are what Porsche calls FlexBoxes, white boxes about four feet in all sides that contain all of the other components. Related: Is it better to buy a new or used Porsche? The boxes come with various internals and can be placed wherever a dealership or charging station pleases. One type of box contains the transformer and power electronics. Another contains loud fans and cooling fins. More notably, a third box contains a large 70 or 160 kWh battery that can charge the Taycan—or any future Porsche electric car—extremely quickly. 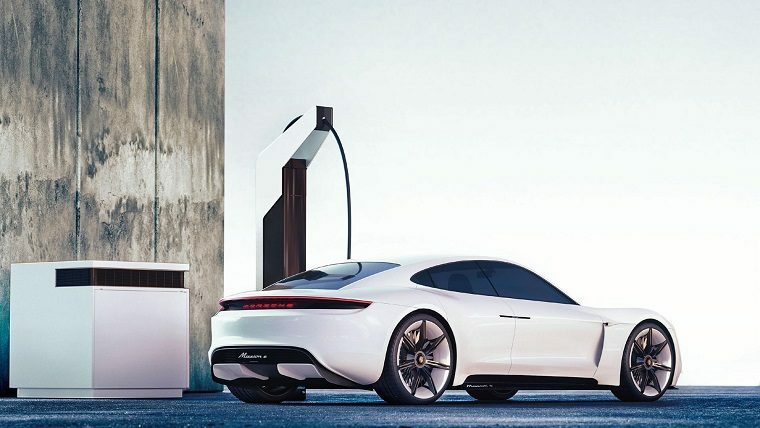 The battery in the box itself would still need to be recharged between sessions, but the one inside the Porsche would receive enough energy over 20 minutes to go 250 miles, about 80 percent of the Taycan’s total range, regardless of the connection strength to the electric grid. The German automaker plans to equip nearly 200 United States dealerships with the setup. Because the battery still needs to be charged, it is best suited for locations where demand isn’t extremely high.